At Roughan Chiropractic we are very family focused and love providing high quality chiropractic care for babies and children, as well as care for the pregnant woman. Chiropractic care for children offers your family a solid foundation for wellness. Throughout pregnancy, birth, and childhood, the chiropractic lifestyle offers choices and benefits for your greater health and well-being. 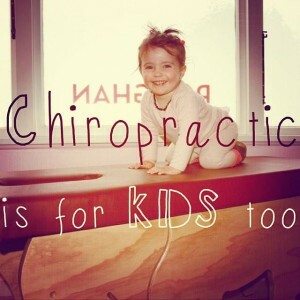 Chiropractic is for Kids too! According to recent studies, chiropractic care may result in easier pregnancy including increased comfort during the third trimester and delivery and reduced need for analgesics (pain medication). In one study, women receiving chiropractic care through their first pregnancy had 24% reduction in labour times and subjects giving birth for the second or third time reported 39% reduction in shorter labour times. As chiropractors, our greatest focus is not your aches and pains but, more so, how well your spine and nervous system are functioning. Ideally pregnant women need all sections of the pelvis and abdomen to be free of restrictions, where joints, musculature and ligaments have even tone. The uterus and cervix need to have good alignment to make it easier for a baby to move easily into the birth canal. 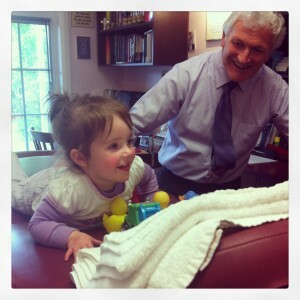 Doctors of Chiropractic have been providing safe and effective care of children for nearly 100 years. There are several published studies conducted by researchers in Germany, Australia, Denmark and the United States that confirm the effectiveness of chiropractic for a variety of childhood illnesses. This body of scientific evidence is growing every day. An important gauge however is to hear feedback from parents of children under chiropractic care. There is a lot of support from this part of society due to the high level of satisfaction parents have with chiropractic care for children. The Birthing Room seeks to empower parents through evidence-based education about pregnancy, childbirth and parenting. The Birthing Room runs fantastic BirthWorks Antenatal Classes which are great for first time parents and also subsequent births if you need healing from past emotional traumas or are looking for more information and support. Rosemary also offers Doula Birth Companion Services which is a wonderful support for the birthing mum. A Doula will work alongside your Lead Maternity Carer (LMC) and birth team to nurture, love and encourage you as the empowered birthing woman, helping you have a more positive birth experience. 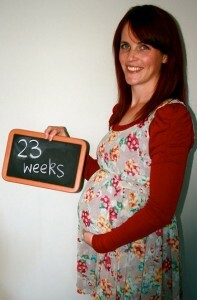 Sanctuary Health & Yoga offer Pregnancy Yoga classes from their cosy Christchurch studio. Classes are small and friendly and no previous experience is required. Specialized pregnancy hatha yoga classes offer a fantastic way to help prepare for giving birth, and for what follows. It gives you time to relax and connect with your baby while dealing with the physical and mental challenges of pregnancy. The focus of the class is on developing strength and flexibility in the legs, spine and pelvic floor, opening hips and pelvis, stretching the spine and opening shoulders to help counter the rounding that occurs as a result of the extra weight front side. Opening shoulders also creates more vital space for breathing and can help to prevent compression of nerves. After your baby is born they also offer ‘Mum & Bubs‘ yoga classes which are great for recovering and healing from birth as well as connecting with your newborn baby. There are also numerous workshops and events held throughout the year which are continually updated on their website. To help strengthen their child’s immunity and potentially reduce the incidence of colds, ear-aches and general illness. We highly recommended ‘Well Adjusted Babies’ book by Dr Jennifer Barham-Floreani. For more information on how chiropractic can help you phone us today!